Junagarh was an ancient walled and fortified city in the Indian state of Gujarat. 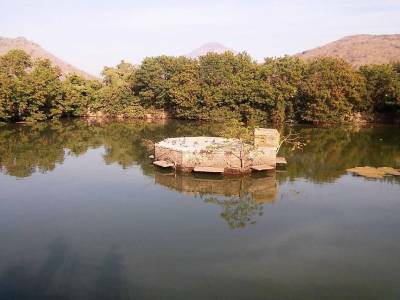 Uparkot is one of the forts lying east of Junagarh. A fortified man made town established on the top of Girnar Hill was constructed initially during the Maurya dynasty and was prevalent in use even in the Gupta dynasty continuing with its importance till the capital was displaced from Junagarh to Vallabhi by succeeding dynasties. 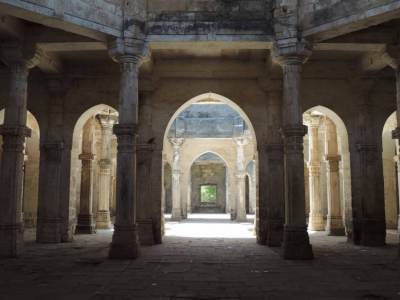 The Chudasama dynasty strengthened their grasp and control around Junagadh from 875 CE as cited in early scriptures and travelogue documents. Later around during their rule, this stronghold fort that was hidden from view completely by dense forests was again rediscovered and the obstructing jungles cleared to restore the glory of this fort and watchtower. 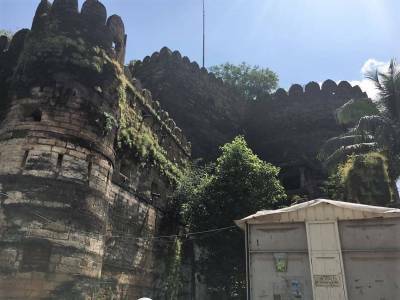 A strategic fort and retiring place for the royalty, Uparkot was used to expose approaching enemies and high raised parapets were built around its flank further extending its elevation to protect the inhabitants from the impact of any enemy attack. 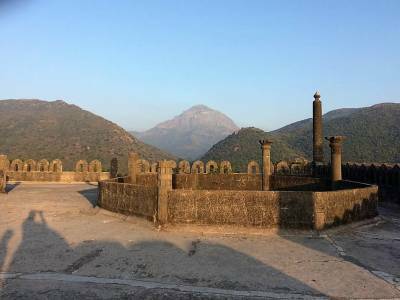 Although much of its contents lie in ruin and rubble, the Uparkot fort still exhibits cannons from the second century battles and similar paraphernalia. It also holds remnants of a mosque which once was alive with prayer calls for those residing in the fort. Apart from the mosque it also holds the remains of a tomb dedicated to Nuri Shah, close to the mosque, still reminiscent of the grandeur of the past. Although much of the mosque is ruined due to neglect and lack of maintenance and preservation, a healthy stairwell connecting one of the standing minarets to the terrace is still active and gives a wonderful panoramic aerial view of the expanse of Junagarh, the walled city. 5 INR for Indian National and 100 INR Foreigners. 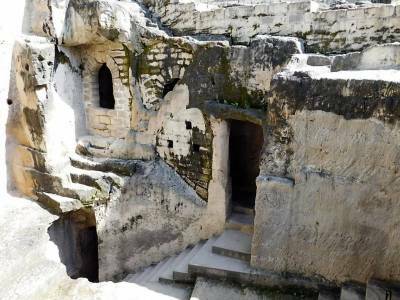 Get quick answers from travelers who visit to Uparkot Fort.